On this friday Mr Nasser Ali and his friend in Saudi Arabia Mr Faisal visits our factory for the 10 heads rotary filling machine semi automatic. 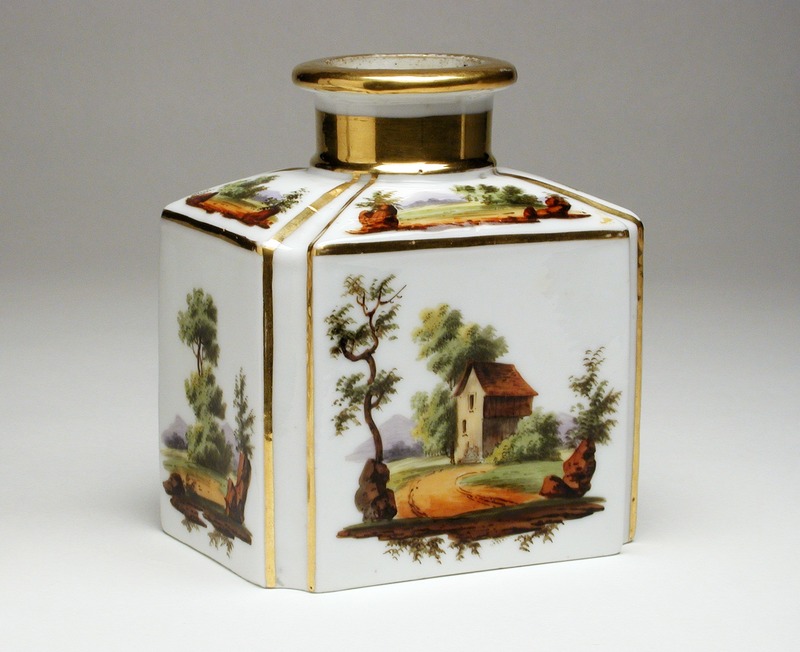 Used for filling perfume and other water-based materials. The machine adopts vacuum filling. 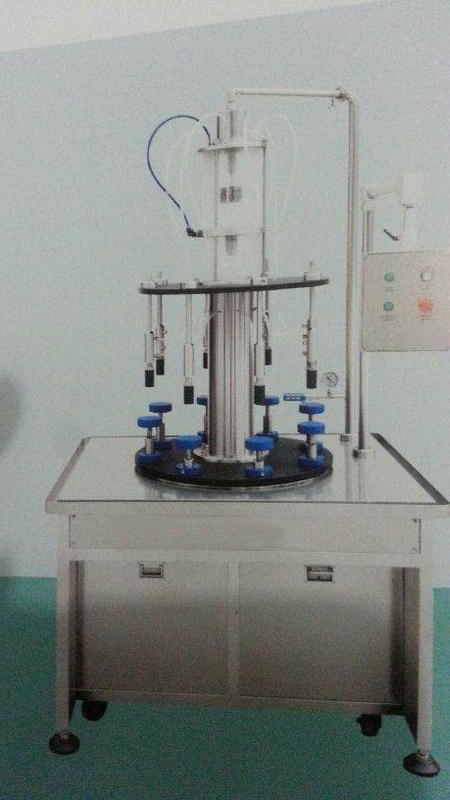 YX-P Perfume Filling Machine is used for filling floral water, perfume and other water-based materials. 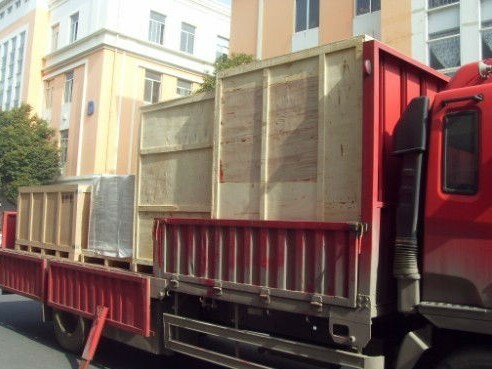 This machine adopts vacuum type filling and fixed liquid level type filling, thus avoiding the different levels caused by the thickness of each container bottom. The machine is with 8 or 12 heads filling, and rotary type filling, which has speeded up and meanwhile saved a lot of spaces. 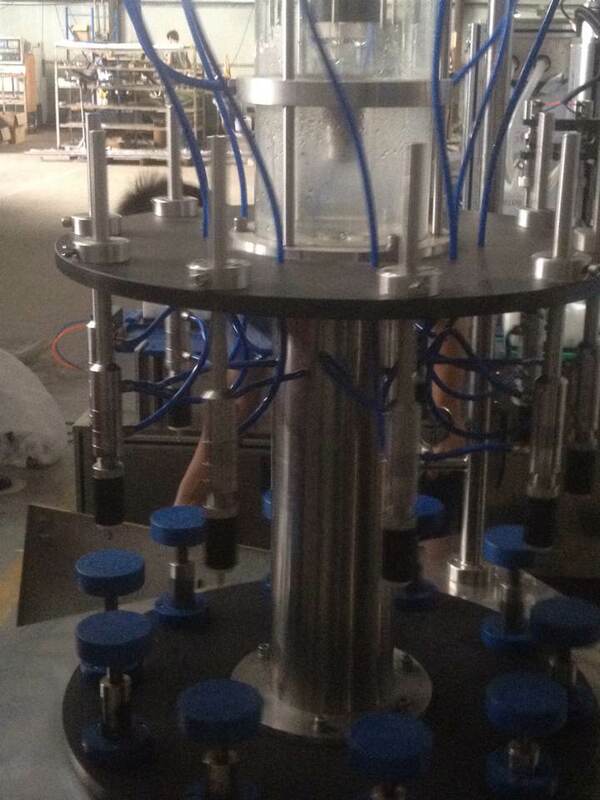 The filling nozzle number can be customized, like 6 heads, 8 heads, 12heads etc. 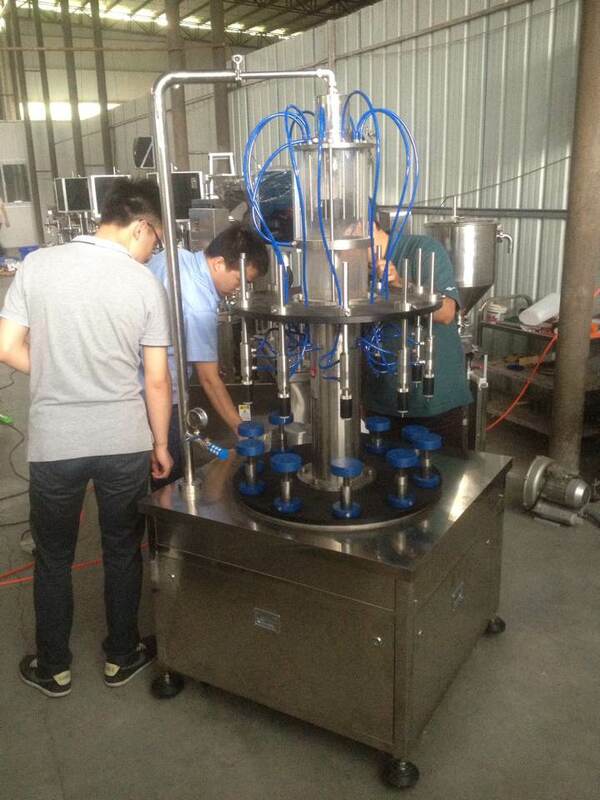 The vacuum perfume filling machine also is equipped with a recycle system, which saves a lot of time and labor tensity.